Simply plug the charger into an available power outlet and this small and light, travel ready charger will charge your iPhone®/iPad®/iPod® anywhere you travel. 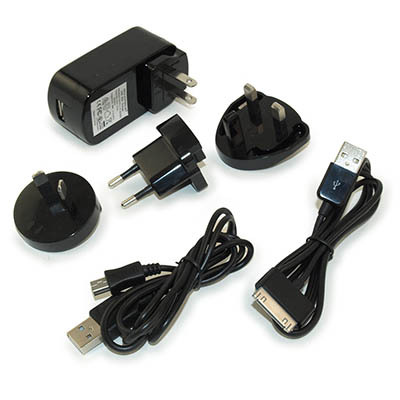 The charger fits standard US and international power outlets. Elegant and compact designed dock connection and perfect for your iPhone, iPad or iPod. It comes with multiple adapters for various connections around the world.